It’s never too late to start your disaster plan… until it is. Run your business carefree as we are going to take care of your data. No matter what solution you implement in the cloud, the key to a successful experience almost always boils down to the support you get in implementing and servicing that solution. At Noverus, our team of expert technicians are focused on delivering first class support when you need it. Noverus’s Online Backup service gives you reliable cloud backups instead of on vulnerable tapes. Add Backup-as-a-Service (BaaS) to your disaster recovery plan and never worry about your data again. In the event you require rapid recovery of your data, you can download your files 24×7 or request an overnight express shipment. How secure is Cloud Backup? Cloud Backup is very secure. The data centres use military-grade technology to keep your files encrypted and safe. We support SSL transfers between your PC and our servers too, so there’s no risk of people intercepting your data while it is uploaded or downloaded. 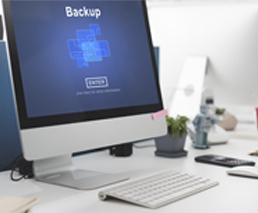 All of the data that you put on Cloud Backup is backed up redundantly across multiple locations, so it is fully protected against hardware failure or other damage. Which operating systems does Cloud Backup support? The Cloud Backup desktop software runs on Windows XP, Windows Vista, Windows 7 and Mac OS X 10.6. The Cloud Backup web portal can be used by all of the major web browsers, including Internet Explorer 7 or later, Firefox 2 or later and Safari 3 or later. Some features on the web portal require recent versions of Java or Flash.